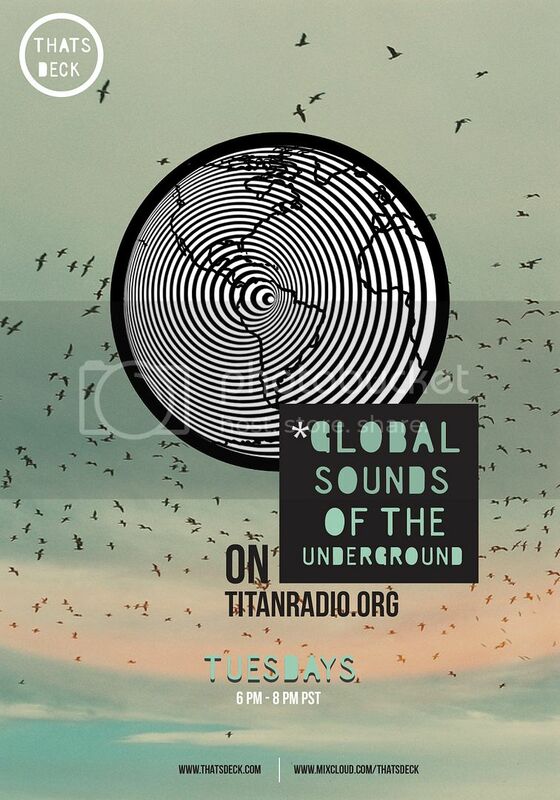 This coming Tuesday (September 3rd), will install Thats Deck's second to last season on Titan Internet Radio bringing you some of the finest sounds of the global underground. Be sure to tune in this Fall every Tuesday from 6pm to 8pm PST on titanradio.org. There will be special guest mixes, in-studio interviews, constant new sounds, and exclusive ticket giveaways on a weekly basis. Keep up to date with this season's playlists and new shows weekly on mixcloud.